Our club serves the Houston metro region, with members from Bryan/College Station to Beaumont. And if you’re not already a member – Join Our Parents Club! Follow us on Facebook (https://www.facebook.com/USNAGCPC/). Parents’ Club Meeting – Saturday, November 3, 11:00am, St. John the Divine Episcopal Church, 2450 River Oaks Boulevard, Houston, TX 77019. We will be using the Youth Room which is located inside the main admin building (under the “Welcome” sign), upstairs to the left. Class of 2022 brings lunch. Don’t miss the 33rd Annual JSAMB hosted by the Naval Academy Parents’ Club of the Texas Gulf Coast which will be held on Wednesday, December 26th, 2018 at the Moody Gardens Convention Center. It will be an incredible opportunity to meet our own USNA graduate Sunita Williams who is our featured speaker! Suni is one of the Astronauts named to the first commercial crew flights on American-made space crafts since the retirement of the space shuttle program in 2011. We are so honored that she is going to spend an evening speaking to our Midshipmen and Cadets about her incredible “Courage & Commitment” which is the theme of the 2018 JSAMB. Invitations will be mailed on October 1st and Tickets are $60 per person. Make a Moody Gardens Hotel reservation today by calling 1.888.388.8484 and asking for the JSAMB rate which is $119 for December 26th and only $59 for December 27th At 1.888.388.8484. And…. if you RSVP by November 15th you will automatically be entered into a drawing for a free night stay at the Moody Garden Hotel on Ball night. There will be prizes galore at the event which you can preview here. Grand prize raffle tickets are now available for sale so please pick some up at our next Club meeting for yourself and extras to sell them to your friends, co-workers and family. 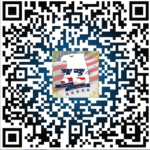 See the QR code below for a listing of prizes. Questions about the JSAMB can be directed to Marissa Rombado at mrombado@sbcglobal.net. The Chill Out custom made weather-proof blankets will delight everyone on your shopping list and raise money for our Parent’s Club! For those of you whom are frequent Amazon.com shoppers…here is a way to help our local USNA Parents Club of the Texas Gulf Coast. Use this Amazon Smile link below when you shop, and 0.5% of every purchase is donated to the Club, which we use to support our Midshipmen. No cost to you! 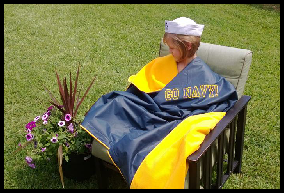 Just click on the link and enter your Amazon login and you should see “supporting: USNA Parents Club of the Texas Gulf Coast” below the lookup bar. Bookmark the link and use it every time you shop.